Ruled By Books reviewer Jaime Chambers interviewed me about my novel Finders Keepers, advice for new writers, and thoughts on my latest project, Crossline. 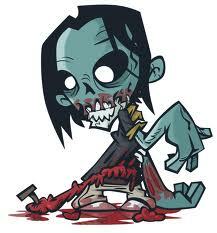 Plus … final thoughts on what I’d read if I had time to kill on my way to becoming a zombie. One day after school, I was only in pre-K at the time, and I was on my way home on the bus. The day was slightly overcast, but I didn’t care. I only had one thing on my mind: get back in time to watch my favorite show. It was the cheesy POW! OOF! 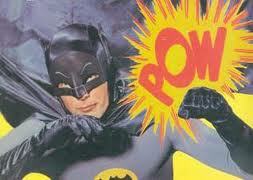 Adam West Batman, and I freakin’ loved it. But in one of those rare scheduling snafus, when the bus driver was set to drop me off at the stop, my mom wasn’t there. We waited a minute, but then had to move on. More stops to make. I didn’t say much, I just sat there on the bus, four years old, not sure what to do. Since this was 1975, in a world before cell phones, the driver took me with him to his other stops, and each time those doors opened and closed—farther from home—I had two thoughts: where’s Mommy and … I’M MISSING BATMAN!!!!!!!! 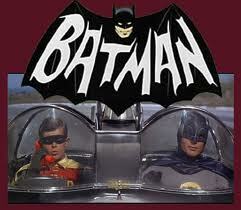 Of course, as an adult, the new incarnations of Batman are far more sophisticated than the original show. Michael Keaton’s first Batman movie put the Caped Crusader back on the map. The sequel, Batman Returns, was lousy. And despite its flaws, I enjoyed the Val Kilmer-led Batman Forever, and then the movie franchise just collapsed with the final (and awful) Batman & Robin, with George Clooney and Arnold Schwarzenegger. Then the animated Batman returned with a darker, more serious edge, and my hero was back again. And now we’ve got Batman Begins and epic The Dark Knight from the team of Christian Bale and Christopher Nolan, and Batman is cooler than it’s been, maybe ever. Not to mention The Dark Knight Rises is still on its way. And yet … as my mother often reminds me, when I was that young boy, no matter where I was or what I was doing, as soon I heard that theme song, I would stop whatever I was doing … and freeze. With a Pavlovian response, to this day, I’m no different. Funny how some things never change. In this case, I’m totally OK with it. And by the way, on that day back in 1975, the bus driver circled back to my stop, my mom was waiting for me, and I was able to catch the second half of Batman, with action in the Bat Cave, which, of course, was better than not seeing it all. The NY Comic-Con was its usual array of spectacle and madness. I was there for the Friday showing, and despite the pure overwhelm of the event, I found it to be much better organized than in years past and easier to navigate. 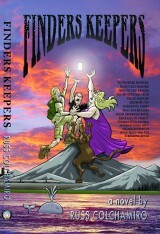 As always, I was there to promote Finders Keepers and see the gang. 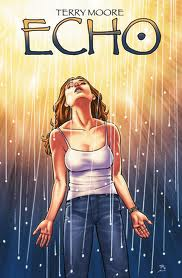 I hung out with partners in crime (and Zoomies creator) Rich Henn and Crossline editor James Chambers, and stopped by the booth of Terry Moore, who signed his latest paperback editions of Echo for me. The big attractions I saw were a Q&A about the new Avengers movie, and a long line for the Walking Dead comic, tied into the AMC show. 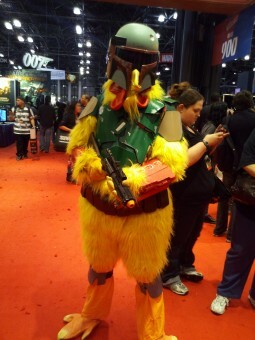 And of course, what would a Comic-Con be without Chicken Fett? Physically, NY Comic-Con is tough, between the constant blaring of noise, navigating almost 100,000 people, not to mention those convention floors are unforgiving! Maybe I’m just showing my age, but my back is still aching. Invest in some padding carpets! Yikes. 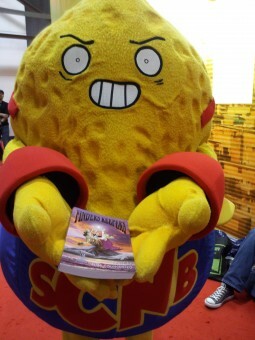 Still, NY Comic-Con was a good show for me, where a good time was had by all. In fact, by night’s end a bunch of us made it up to Heidelberg on 85th Street and 2nd Avenue for some beer and Bratwurst. OK, so … I’m on the subway heading to work. It’s about 7:30 a.m., and I’m reading the newspaper, just minding my own business. We make a stop, the doors open, which draws my attention. In the corner there, is a guy, sitting by himself. He’s maybe 25 or so, in jeans a t-shirt and sandals. Yet my judgment of Mr. Pick isn’t that he did the picking, per se. It’s what he did after the pick. I don’t know if on that finger he had a nugget, some goo or just general crusties. But I do know that he reached over by his leg, and, presumably thinking he was being sly, wiped his whole hand over the plank next to his seat. I mean he just smeared it all over. And then he did it again! The picking, while nasty, is, I suppose, forgivable. I just hope the MTA calls in a HAZMAT team to hose down that subway car before anyone else gets back on it. My initial reaction to The Good Wife, before even having seen it was, meh. Not interested. But then I kept hearing how great it was, so I gave it a shot. Having watched all of Season 1, I can say that the quality of the shows is somewhere in the middle. What Works: The chemistry between the characters is generally good, and the actors all do pretty well with their roles. There’s good tension between the characters and as the season progressed the relationships started to develop. There’s also good, inherent drama with the premise. Julianna Marguiles is Alicia Florek, the spurned wife of Chris Noth’s ridiculed former State’s Attorney, who had an illicit affair and went to jail for alleged crooked dealings. Now she’s a lawyer trying to make a career for herself—despite her husband’s name—but keeps running into those who either judge her for it, or want her to use the political influence she wants to deny she actually has. Plus there’s a potential love triangle here, so lot’s of pulpy drama. What Doesn’t: Man oh man the plots be dumb as a post. My biggest problem with The Good Wife is that it isn’t really sure what kind of show it wants to be. A pulpy political/office workplace love drama, or a case-of-the-week lawyer show. Problem is, the cases are very silly and often implausible. There are too many examples to list here, but for one, how about the episode where the building managers in the Floreks’ building just happen to be diamond smugglers? Naturally. Or the one where an injured plaintiff’s wife just happens to have access to a jury pool, so she can screen for someone who’d be open to a bribe … and then has the mojo to arrange back alley payments to throw the case? Wow. She’s good. Or that the Florek’s 15-year-old son can detect uneven light patterns reflected back in his dad’s eye in a photograph to prove a steamy, drug-fueled photo was a fake—but all law enforcement missed it. Uh. Yeah. I can go on and on. And why does every case need to be wrapped up each week? Lazy plotting. Final Thoughts: Despite the show’s inherent flaws, it’s still enough of a fast-paced, love-triangle/political chess match to keep me interested. Good characters with juicy entanglements overcome the silly and often implausible storylines, although there are many times when I cringe at the ridiculous plotting. I will say that the second half of the season was much better than the first, so I’m hoping this bodes well for future seasons. As for the first run, fun trumps logic. But just barely.